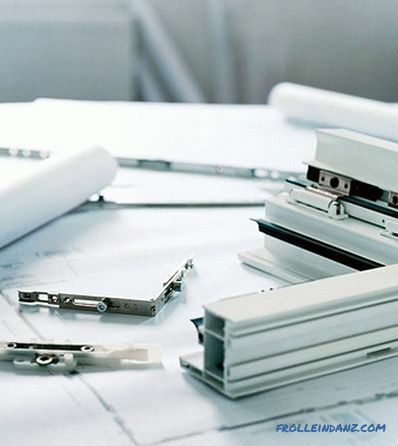 It would seem that plastic windows entered our life quite recently, but as it turned out, they do not serve people forever (or at least a couple of decades) without repair. 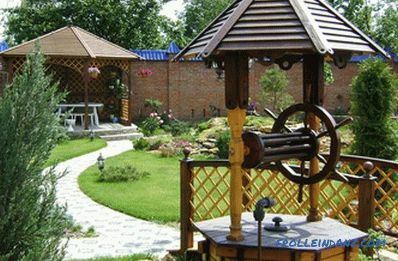 And since it is quite expensive to call the master due to a small problem (the window does not close or the mechanism is broken), many owners prefer to carry out the repair of plastic windows, so to speak, at home. 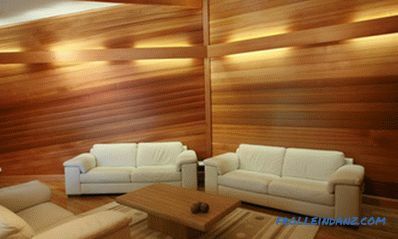 Fittings may vary depending on the brand of manufacturer. Now we will consider one of the options for repairing plastic windows, when at the end of the open sash of your window you see a metal “tongue” located at a slight angle. Adjusting the sagging sash Open the sagging sash. At the end of the window (where the upper loop is) we find the hexagon hole. We insert the hexagon into this hole and turn it towards ourselves (a quarter or half turn) - this movement will slightly raise the outer edge of the flap. We close and check whether it has ceased to cling to the lower edge of the window. If there is still a sagging, repeat the process (that is, turn the hexagon another half turn). If the window still does not close easily enough, without touching the bottom, you should lift it a little more, but in the loop. Remove the protective plastic cap from the bottom hinge (with the sash closed). We insert a hexagon into the loop above (strictly vertically). Turn the hexagon clockwise (half a turn or a full turn). We check the closure purity. If the bottom edge still clings, repeat the last action again. At the bottom of the lower hinge of the window cover (look from the end) we find the hole for the hexagon. We turn the hexagon to one side or the other, thus shifting the bottom of the sash to the left or right to the desired position. 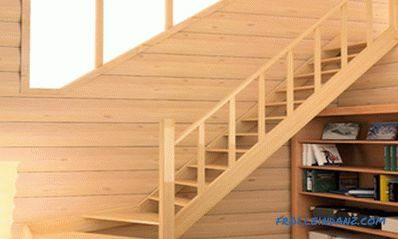 If necessary, the upper part is adjusted in the same way (through the upper loop). Adjusting the plastic window fittings Open the window. Find "clamps" on the vertical end, metal protrusions of a slightly oval shape. the vertical position of the "oval" is minimal snug fit. Turning the clamp to the angle you need, check whether, in your opinion, the sash is tight enough. You can adjust the clamp in the winter (exposing it to the most snug fit) and in the summer (allowing for a small air circulation through the seat, exposing the clamp vertically). You can also adjust the degree of fit of the sash with a hexagon and a T-shaped clip, located on the rack window. Remove from the loop the plastic cap (with the window closed). At the bottom of the loop, find a small hole under the "asterisk" (labeled "T"). Take the corresponding nozzle on the screwdriver, insert it into the hole and turn it clockwise slightly (this will press the sash against the binding). Gently turn the decorative plate at the bottom (under it you will see two bolts). 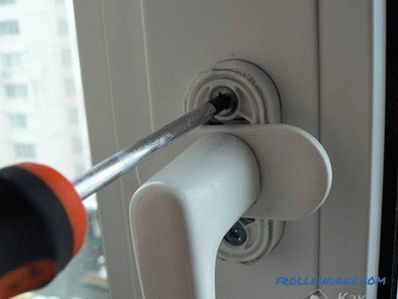 Unscrew the bolts, remove the old handle and put a new one in its place. 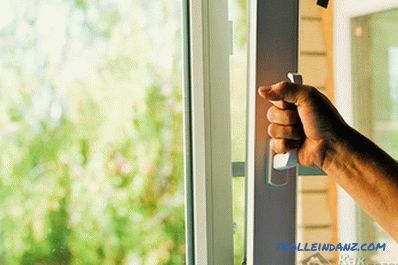 Cause the fact that the handle stops turning when the window is closed, or to perform this action you have to apply a certain force, it consists in shifting the turning “tongue” located at the end of the casement relative to its “response” (on the window cover). 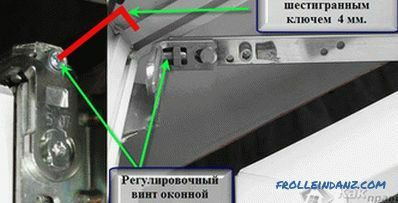 In this case, it is necessary to adjust the position (the methods of adjustment were described above) so that the "tongue" when closing the window rested against its "response". If the handle does not turn when the sash is open, then you just need to press a finger on the "tongue", pressing it in a vertical position. But in the case when it is necessary to replace the insulating glass unit and especially if your window is at a sufficient height from the ground level (on the second or upper floors of a high-rise building), it is not recommended to carry out repairs yourself. This is exactly the situation when you should contact the service center and entrust the solution of the problem to professionals. If you have a handle stuck in the open position, do not be intimidated. As a rule, the cause of this is the drawdown of the blocker. 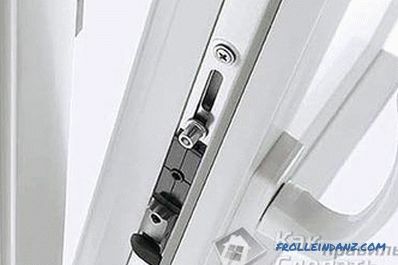 It is installed on the window fittings in order to prevent the breakage of the window. When you turn the handle in the tilt-or-tilt or tilt position, the locking device is activated, so that the handle does not turn. 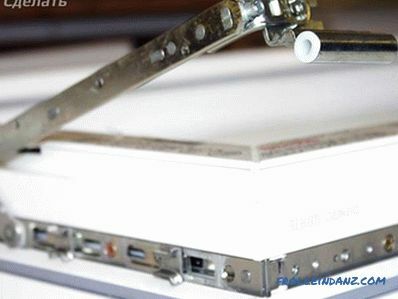 But due to failures in the operation of this device, the window may not close or open. Before you disable the locking mechanism, you must determine the brand of fittings. To turn off the locking mechanism, you need to set the flap in a vertical position. If it is in a tilt-and-turn position, then the locking mechanism mounted on the top loop will also not allow turning the handle. 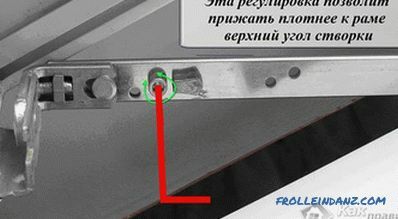 The metal plate with a spring is located in the area of ​​the handle. Press it with your fingers to the seal, and then turn it. There is a metal plate under the handle. It sticks out at an angle to the frame. To turn the handle, push the plate, after which it will be in the position parallel to the leaf. 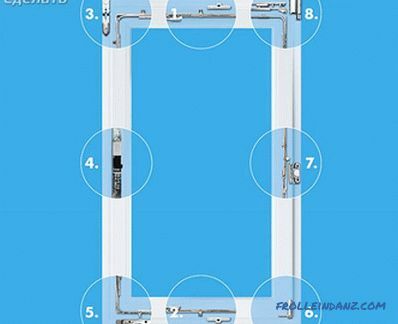 If the window is not closed, check whether the locking mechanism does not come into contact with the counter element located on the frame. 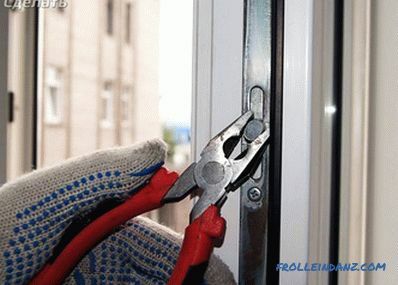 With the temperature expansion of window frames, the blocker may slip. To remove a malfunction, you should find a response element on the frame, for which, when functioning correctly, a blocking mechanism clings. Remove the screws that secure this item. Place a plastic lining under it. You can also use a lining of any other material. And then tighten the screws. Thus, the lock will again engage with the counter element. Over time, the sealing rubber on the sash loses volume, as a result of which gaps are formed in the windows leading to heat loss and deterioration of sound insulation in house / apartment. It may seem that the best solution is to replace the seal. But in fact, the downforce can be increased without these actions. 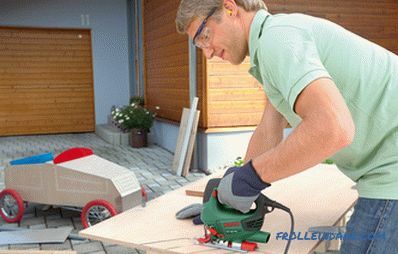 Change the force of operation of the clamping mechanism twice a year. This is due to the low and high temperatures in the cold / warm season. Thus, the voltage in the hardware will decrease, which will increase the operational life of the rubber gasket. Special cylinders are installed at the end of the sash. They are in the slots of the metal plugs. They are called eccentrics or trunnions. Mounted on the frame are reciprocal elements / hooks, which include eccentrics / pins in the process of turning the handle, as a result of which the shutter is pressed tightly against the frame. The adjustment of the force of the clamping mechanism is carried out by moving the response hooks or by scrolling the eccentrics / trunnions. To adjust the sash closing, turn the projecting part of the trunnion to the inside of the window . So, there is a weakening of the clamping mechanism. Opposite actions will increase this action. There is a slot on the trunnion that can be turned using a flathead screwdriver. The eccentric is scrolled with pliers from the end face. If you have enough strength, you can do it by hand. 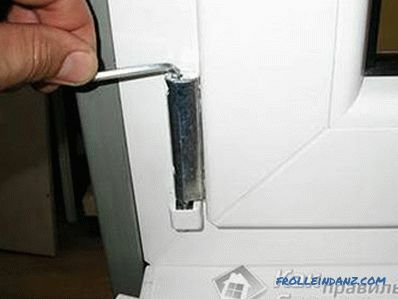 Adjustment should be carried out carefully so as not to damage the pin attachment mechanism. If the cylinders on the face cannot be adjusted, then change the position of the counterpart / hook. It is mounted on two bolts with a hex key. 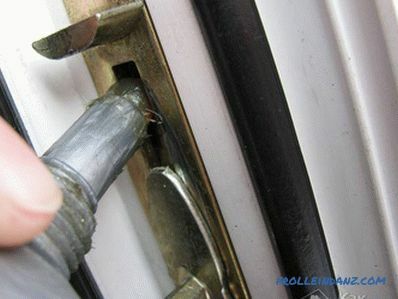 If you loosen the bolts, you can slightly move the hook to the side of the room, which will reduce the pressure, or to the side of the street, which will strengthen it. After loosening / strengthening the pressure device, you can proceed to the canopies. 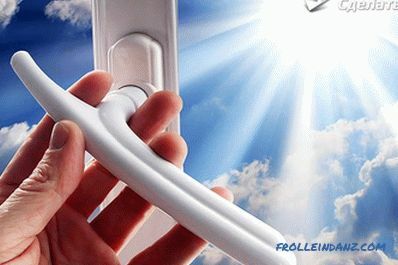 Consider windows with the fanlight system that allows you to open the window in the airing mode. In this case, in order to adjust the clamp, you need to remove the plastic cap from the lower canopy. On the shed you will see two hex bolts and groped for one hidden bolt. With their help, you can change the position of the sash in relation to the frame. 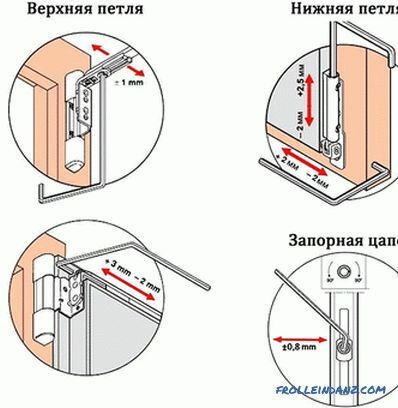 To adjust the clamp of the frame, you will need to adjust the bolt that goes perpendicular to the window plane. 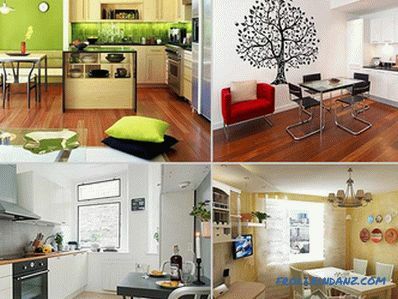 It is better to configure it with the window closed. To strengthen the clamping mechanism - roll it clockwise and vice versa. If the upper part is not fixed to the canopy, but to the structure with scissors, then you need to open it to access the adjusting bolts. There is a blocker lever / clip on the side of the side of the handle. Click on it and in parallel scroll the handle, having established it in the mode of airing. The flap will be held on the lower canopy and the scissors mechanism, because it will come out of the groove by the upper corner. This will allow you to get to the head, so you adjust the pressure of the upper part. In the usual position, the mechanism comes to an end. It is located on the underside of the lever that holds the sash. Turn the bolt slightly. The setting is the same as the pin adjustment. This sequence is described above.